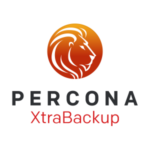 Please join Percona’s solution engineer, Dimitri Vanoverbeke as he presents Online MySQL Backups with Percona XtraBackup on Wednesday, May 31, 2017 at 7:00 am PDT / 10:00 am EDT (UTC-7). Percona announces the release of Percona Server for MongoDB 3.0.15-1.10 on May 26, 2017. Download the latest version from the Percona web site or the Percona Software Repositories. 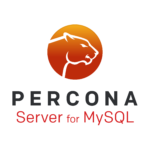 Percona announces the GA release of Percona Server for MySQL 5.7.18-15 on May 26, 2017. Download the latest version from the Percona web site or the Percona Software Repositories. You can also run Docker containers from the images in the Docker Hub repository. This blog post is a summary of the Percona Software and Roadmap Update – Q2 2017 webinar given by Peter Zaitsev on May 4, 2017. This webinar reflects changes and updates since the last update (Q1 2017). In this post, we’ll see how to make Docker images available to servers that don’t have access to the Internet (i.e., machines where docker pull <image_name> does not work). In this blog, we’ll look at ICP counters in the information_schema.INNODB_METRICS. This is part two of the Index Condition Pushdown (ICP) counters blog post series.